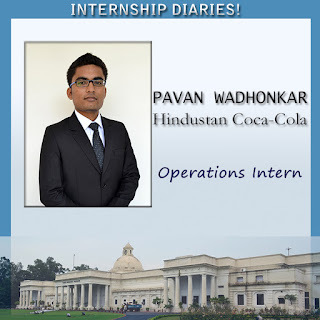 It was indeed a great opportunity for me to get summer internship offer from Coca-Cola and it proved to be a wonderful experience. The outcome of the internship was a thorough project on ‘Forklift Productivity Improvement’, as a part of Operational Excellence department of the company. The project gave me an opportunity to implement my learnings in the two important nuances of Operations Management i.e. Supply Chain Management and Productivity Improvement. Implementation of the project in the period of internship itself, gave me chance to interact with personnel from various departments and levels in and out of the company, and most importantly a sense of fulfilment. The overall experience was very enriching and gave me immense confidence by the end of 2 months.